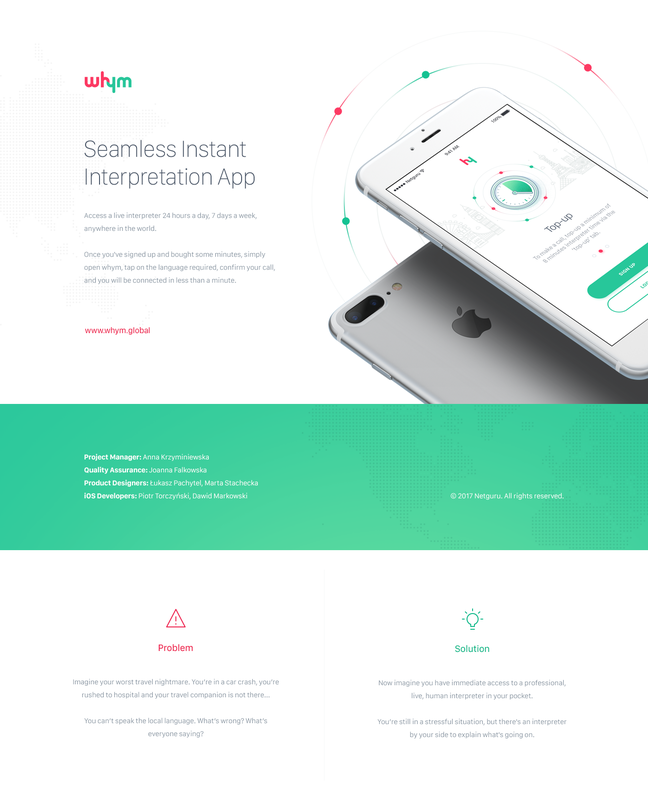 Whym - Seamless Instant Interpretation App is a product design project shared by the Netguru Team on their Behance profile. 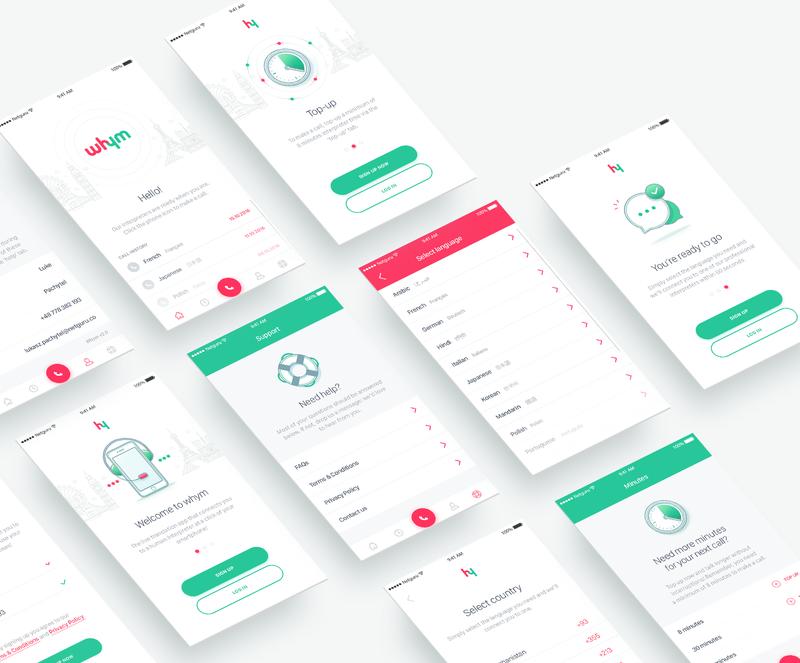 As the name suggest the idea is simple, you have an app that provided you access to a live interpreter 24 hours a day, 7 days a week. 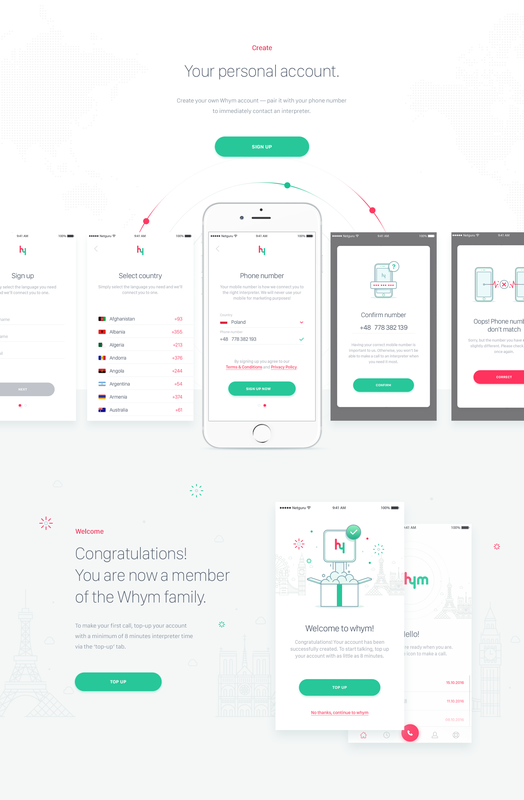 Simple ideas tend to be the most difficult to execute well but, visually at least (I have not had time to download and play with it yet) it looks quite beautiful. 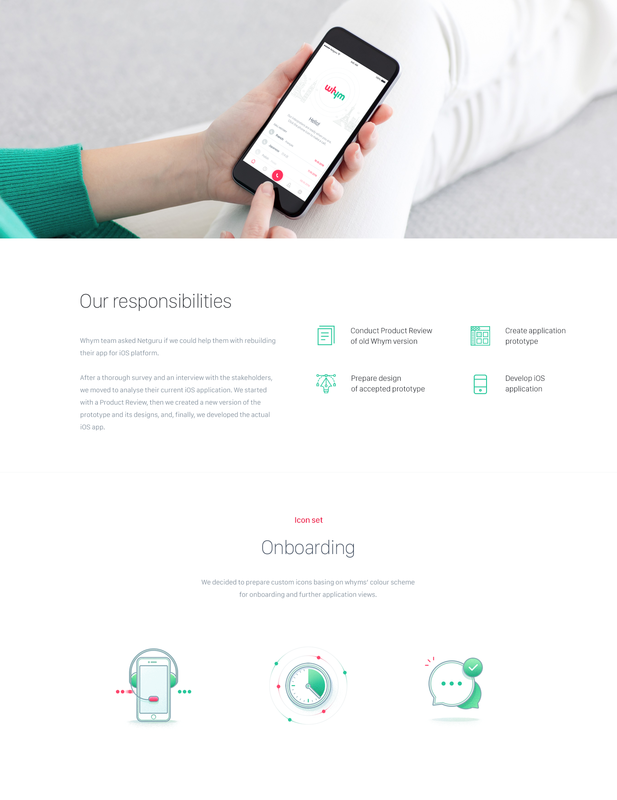 This project covers some of the main user journeys like: onboarding, call and connect with an interpreter and purchase more minutes. It is a quite good example of product design presentation. Imagine your worst travel nightmare. You’re in a car crash; you’re rushed to hospital; your travel companion has been arrested by the police. Then imagine you can’t speak the local language. You can’t understand what’s being said; you can’t get people to understand you. What’s wrong? What’s everyone saying? 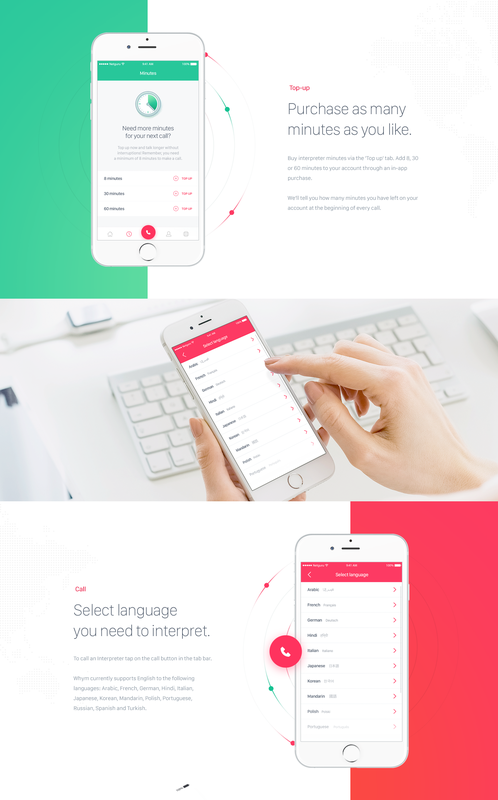 Now imagine you have immediate access to a professional,live, human interpreter in your pocket. You’re still in a stressful situation, but there's an interpreter by your side to explain what's going on.